One of the most common words to pop up into mind when talking about roofing is protection. This protection that we are getting from our roof is all-encompassing and is what makes our homes fully functional affording the whole household the most comfortable stay. The tough nature of the job and the aesthetic appeal that it adds make your choice of roofing type important. 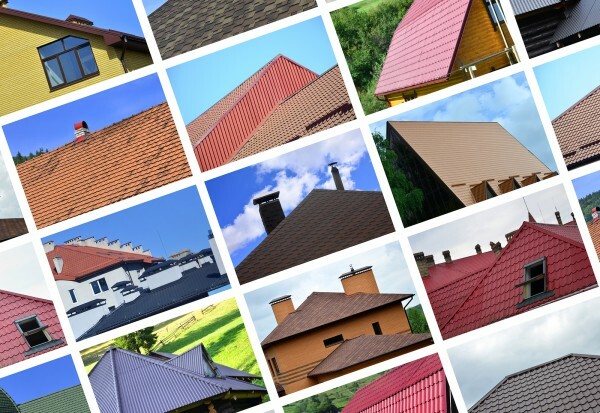 To know what type of roofing to choose, you have to equip yourself with the basic knowledge. Generally, there are 4 different types that roofs can be categorized into. – A flat roof, as its name indicates, lies horizontally or nearly horizontal allowing downpour to run off freely along the slight slant. Though the alternatives in terms of materials are limited, your flat roof can become an outdoor, rooftop extension to your living area and can ideally implement green roofing solutions. The key to a successful flat roof is an expertly constructed and protected membrane. – Low pitch roofs are made distinct by their slight slope which makes it easy to walk on them. The structures are of mixed materials and are commonly seen in older neighborhoods, specifically in bungalow styled homes. – Medium pitch roofs are among the most common, featuring a slope which is higher than that of low pitch but not too steep. – Steep roofs are constructed with the slope at maximum, offering fast clearance of water runoff but the highest level of difficulty in terms of repairs. Along with the varying types of roofing, another consideration to take is the material with which you plan to build the roof. Depending on the slope you choose, there are already sets of materials ideal that narrows down your options. Some of the most common materials include: metal, clay, slate, asphalt, clay, concrete, felt and ceramic. Both the slope and material contributes largely to the overall look and aesthetic touch so make sure to match them with the style of your home. Other factors to look into when deciding what roofing to choose include: the cost, ease of installation, quality craftsmanship, insulation offered and extra insulation needed, level of maintenance, and lifespan of material. It is very important to foresee if you, as homeowner, could keep up with the maintenance required to keep your roofs looking and working as good as new. Religiously sticking to a regular evaluation and repairing leaks as soon as detected could also lead to achieving the maximum lifespan. How properly the roofing system is installed can make or break the success of the project. So if you think you are not up to the back-breaking task, then better let the qualified local roofing contractors to do the job for you. While in the selection process, look into the estimates, detailed proposal, references, experience and clientele satisfaction history, safety measures implemented, and warranties. Why choose local contractors? Arising problems and future problems regarding the job are easily remedied with hired roofers long island or other roofing contractors servicing local areas.